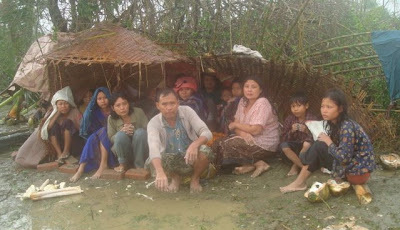 Our friends at Project Enlighten just sent us photos of life inside Burma, post-Cyclone Nargis. They give a rare glimpse of the widespread misery in a country where journalists are closely monitored. Scroll down and click on the link below, but be warned. THE IMAGES ARE PRETTY DAMN DISTURBING. The pictures show just a fraction of the devastation aid workers have witnessed so far. The reality we’re told, is far far far worse. If you’re as shocked as we are, please, do something about it. Click over to Project Enlighten’s website and make a donation. Every cent you give will go directly towards helping cyclone victims. We’ve all read about how Burma’s military government is trying to keep foreigners out and USE DONATED AID FOR THEIR OWN PURPOSES. Project Enlighten is trying to get around the problem by working with groups who are transporting supplies through the Thai-Burma border. Also, unlike most NGOs, they don’t take a cut for themselves or charge admin fees. Think of the thousands of children struggling to survive, families huddled under broken-down huts, the sick, the injured, the weak. As if living under a repressive regime isn’t enough. Now, this. They’ve been dealt a terrible hand. Please help.